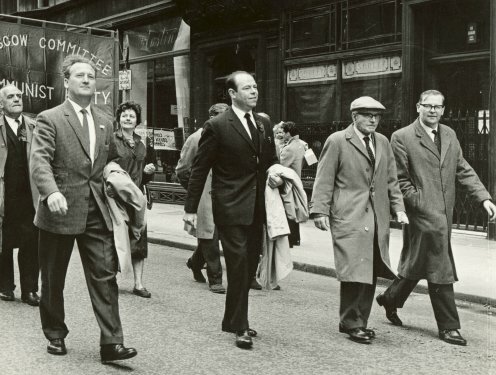 The spectacle to which Engels was referring was the first International Labour Day, born of a long running international campaign for an 8 hour working day. This campaign was catalysed by the 1886 ‘Haymarket Affair’ in Chicago, culminating in the show trial of the ‘Haymarket Martyrs’. This pushed the American Federation of Labour to call a national protest and propose an international day of agitation, a resolution agreed by the Second International. So on 1st May 1890 workers across the world went on strike and in London alone 300,000 attended a rally in Hyde Park. 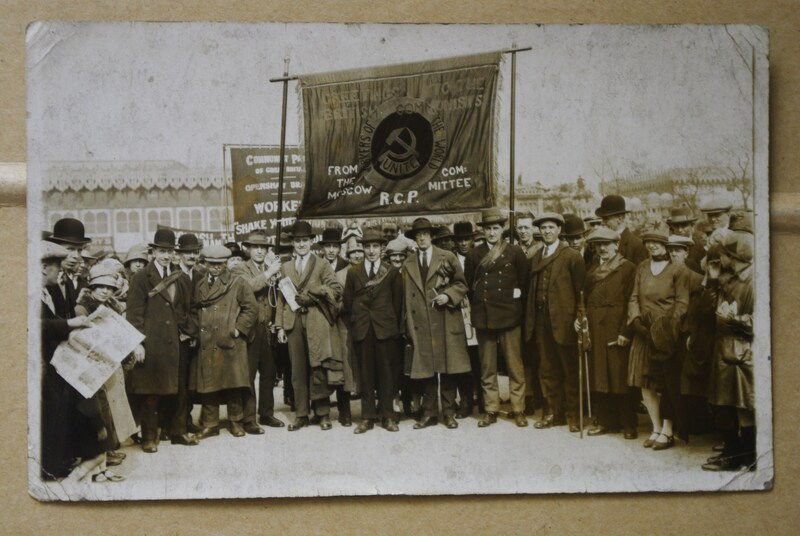 This 1890 protest was initially intended as a one off, but the growth of the Trade Union movement provided the strength to keep it going and May Day was formally recognised at the Second International’s second congress in 1891. Come the new century the London event moved south to Crystal Palace, which had been host to traditional May Day celebrations for years. The ‘May Day International Labour Festival’ therefore combined tradition with solidarity of labour. 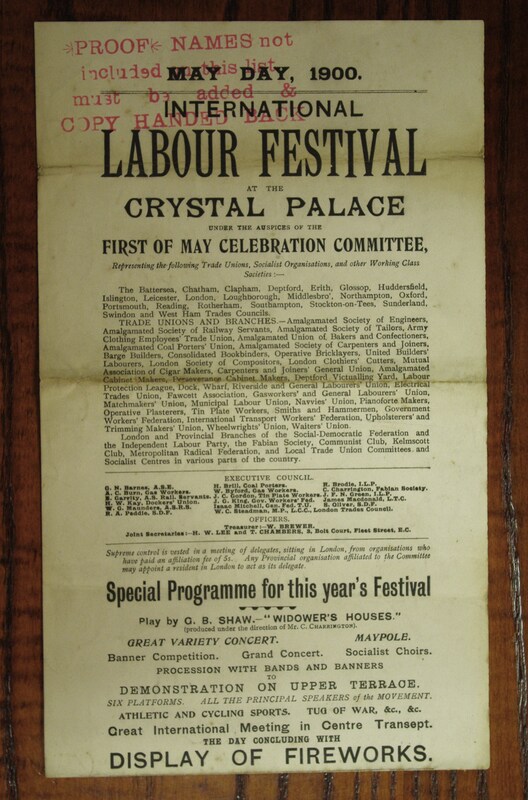 An estimated 12,000 people and 150 associations connected with the Social Democratic Federation and London Trades Council gathered to enjoy maypole dancing, cycling, athletic sports and tug of war, alongside a banner competition, socialist choirs, six platforms featuring ‘all principal speakers of the movement’ and at 7pm ‘The Great International Labour Meeting’, a procession with bands and banners concluding with a demonstration on the Upper Terrace. The juxtaposition of tradition and political activism at Crystal Palace was not necessarily straightforward. 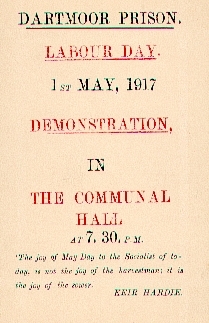 There was tension between revolutionists and jingoists; according to the Westminster Gazette “a struggle of no little interest” early in the day was re-ignited during the Grand Variety Concert when the band played ‘Soldiers of the Queen’. The jingoists stood and raised their flags sparking an “onslaught” by revolutionaries. The brawl ended with police intervention. A more peaceful nod to this merging was the closing firework display which featured a design by Walter Crane. 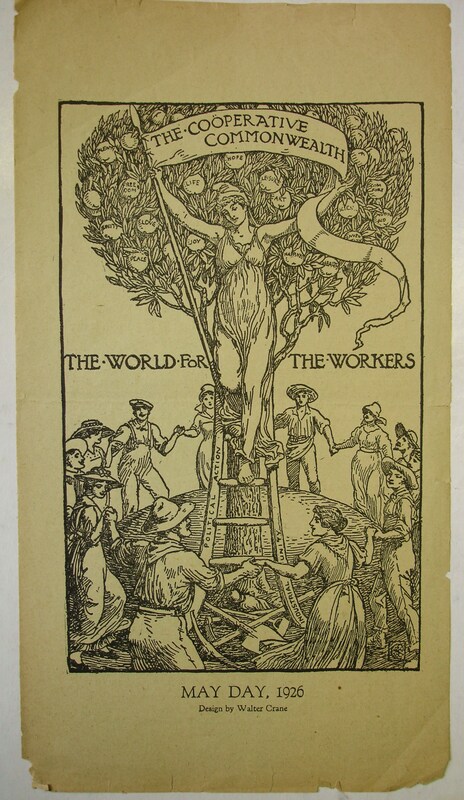 This entry was posted in Campaigning, May Day, Trade Union and tagged American Federation of Labor, Crystal Palace, Haymarket, Haymarket Martys, Hyde Park, International Labour Day, International Labour Festival, May Day, Second International, socialism, Trade Unions, Walter Crane. Bookmark the permalink. ← We Demand Tunnel Shelters For All!